on days that i am tired and stressed, i love scrolling through pinterest to find inspiring images. its the best mindless task to do. chad and i are hoping to move in the next 6months-1 year and once we move i am so anxious to get starting with decorating my very own kitchen. 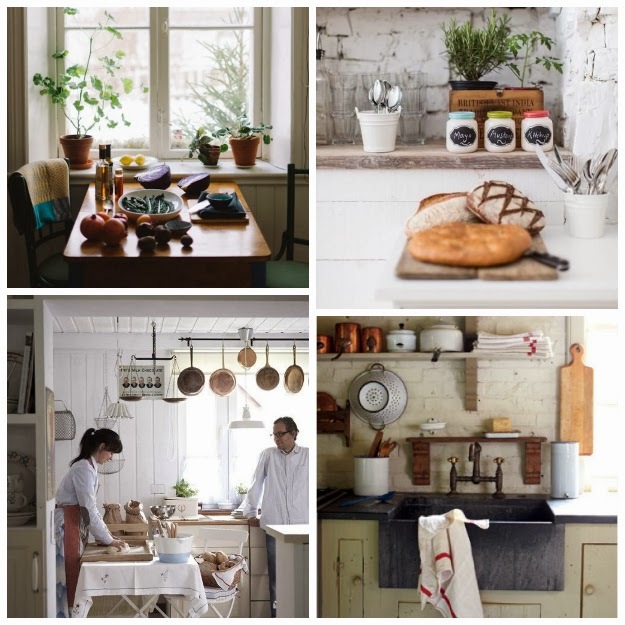 here are some inspiring kitchens that i have found. i realize that i love white, open spaces, and pops of colors. i also love having the pots and pans shown, i feel like it is so julia-child-esk, and she is one of my biggest inspirations (sidenote, did you know you can watch the french chef on amazon?! changing my life). 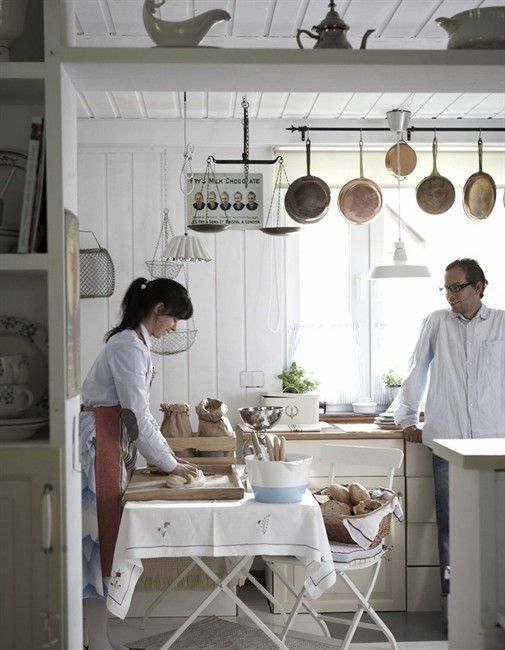 whats your dream kitchen look like?